People often enjoy sausage for its variety of flavors and spice. 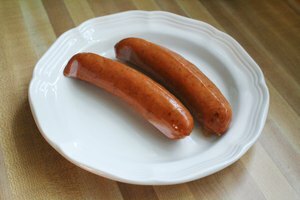 Sausage can be enjoyed in buns, sauces or with eggs for breakfast. They can also be used in dinner meals with vegetables. 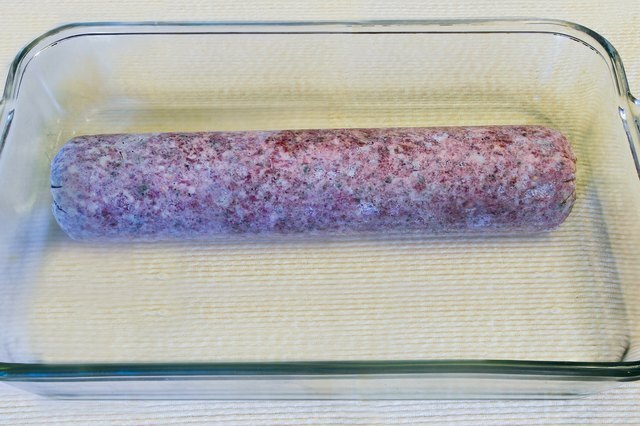 If you need to cook frozen sausage quickly, do not defrost the meat on the counter, as this encourage food-borne bacteria. 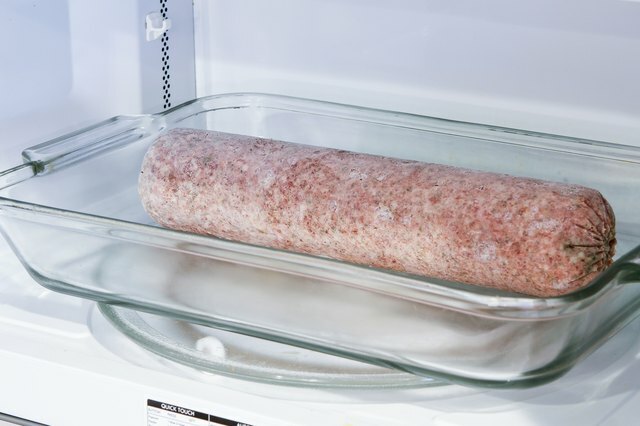 While you can defrost your sausage slowly in the refrigerator, you can also do so in your microwave using the defrost function. Remove the plastic wrap around the sausage. 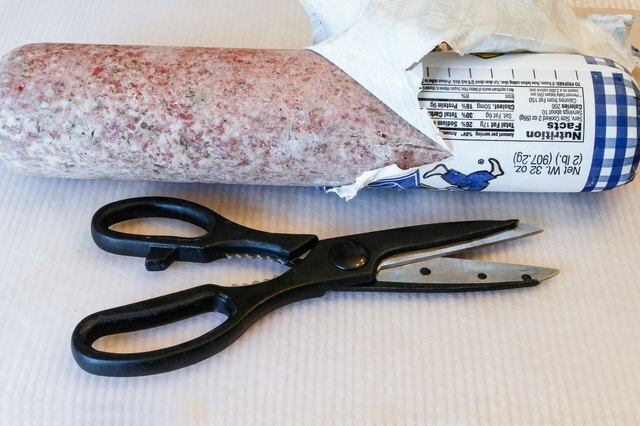 Cut the plastic wrap using scissors and peel the wrapper away from the meat. 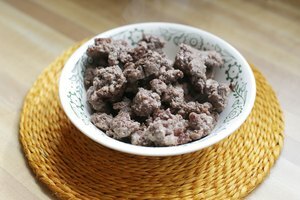 Place the sausage in a microwave-safe dish. Set the microwave to Defrost and select however many pounds of sausage you have. 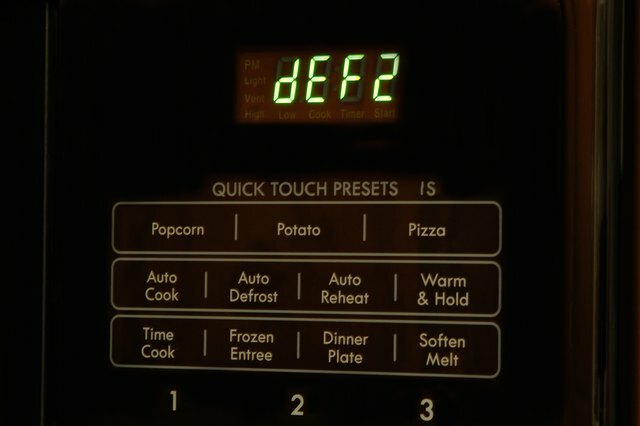 This will create an automatic microwave setting for your sausage. 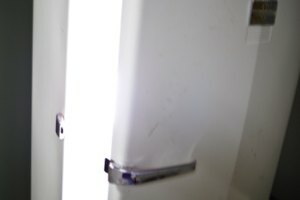 Alternately, you can set your microwave to 30 percent power, which is sufficient for defrosting as well. Defrost for at least five minutes. Check your sausage to ensure it is thawing. 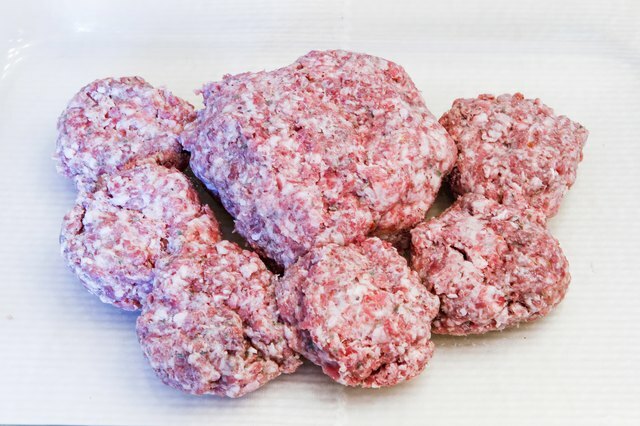 If it is still frozen, turn the meat so it defrosts evenly and defrost for another five minutes. Repeat until the sausage is thawed completely. 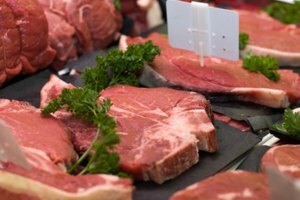 Cook your meat immediately to finish.